My road trip to Unclaimed Baggage was an absolute blast and I was pleasantly surprised by the experience and I love my unique thrift haul. As you know, I'm partial to Goodwill and Salvation Army. Savers was my go to "fancy" thrift store (Super sad they are not in GA). I like the dirty and usually cheap thrift store and I went to Unclaimed Baggage expecting a beautifully lit, well organized and overpriced experience. It wasn't like that at all. It is a gorgeous store but the prices weren't that bad especially on the baubles. If you aren't familiar with this thrifty attraction, Unclaimed Baggage sells lost baggage from all of the major airlines. It's been around since the 70s and started out with Doyle Owens selling the contents of lost luggage out of his home. It's a family owned business and visitors come from all over for the shopping experience. I spoke to a guy who flew in to town with his daughter just to shop for the day. That's a great dad! Everything is professionally cleaned and nicely pressed. There's no thrift store moth ball smell. There's a lot of new with tags merchandise as they also receive unclaimed cargo, items lost in shipment and special buys. 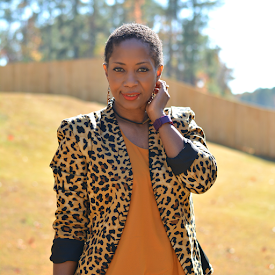 If ASOS is your store, you will love Unclaimed Baggage. Unclaimed Baggage has another store located next to the main store with children’s merchandise, household goods and beauty supplies. Plus, special clearance deals from the Last Chance department. You can come back the next day and find a completely different store. 7,000 pieces are added to the floor daily! Unclaimed Baggage is a mini museum. 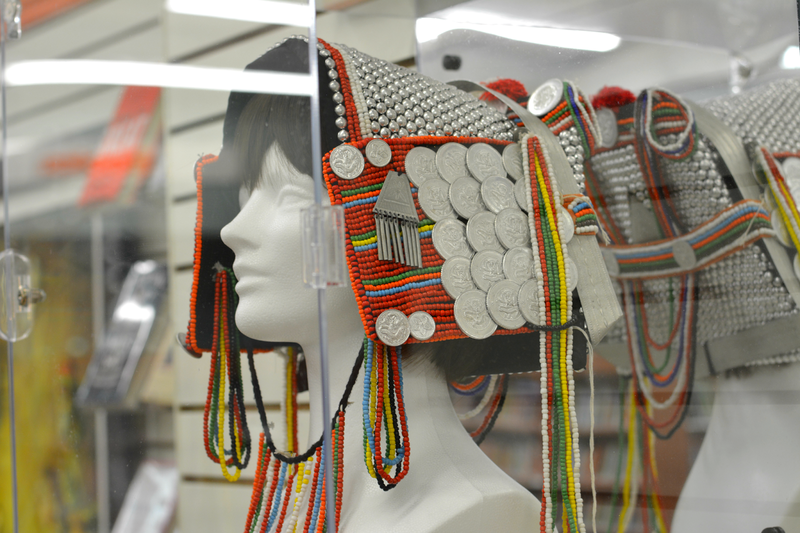 There are finds so unique and priceless they have been put on permanent display inside of the store. 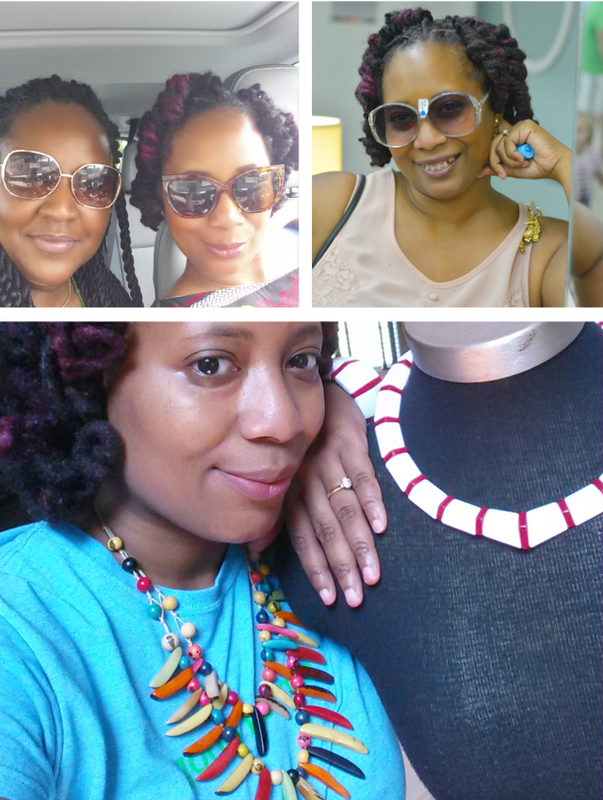 You can arrange to have a style advisor build a style profile and shop with you. You won't be rifling through lost bags (although that sounds like fun). All of the merchandise is organized and set up like a department store. 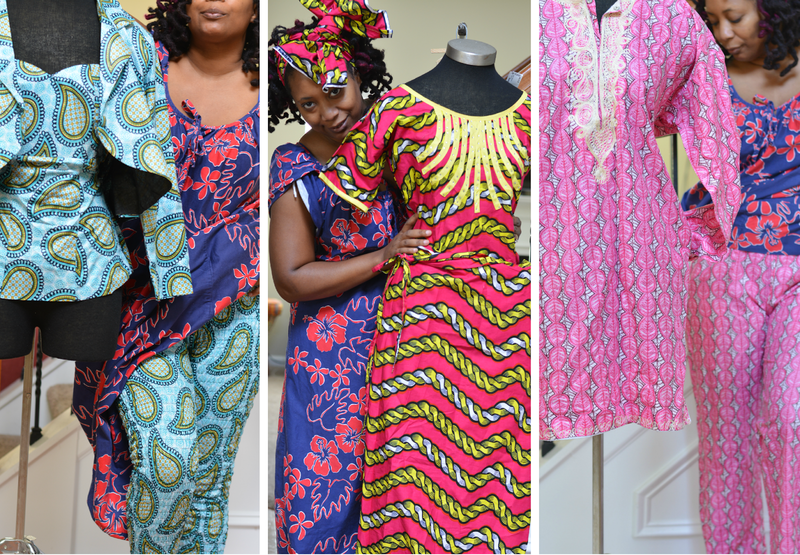 Three custom african print outfits. It was so hard to narrow my choices down. 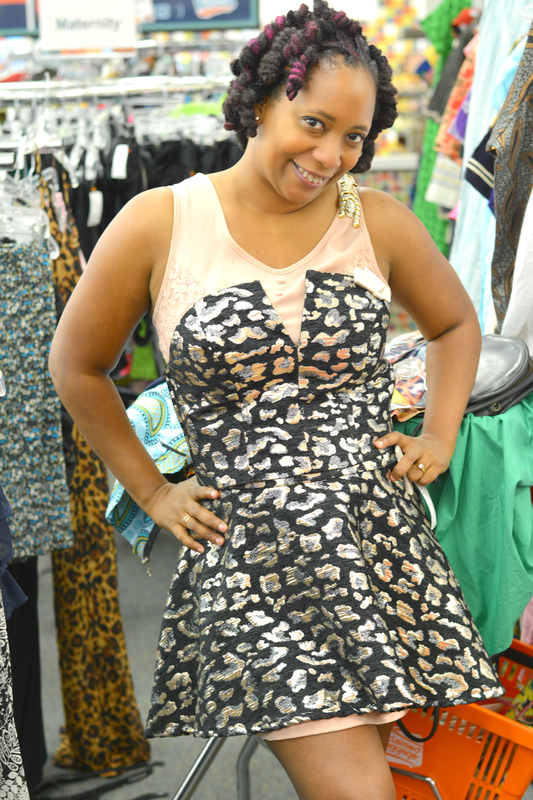 I rarely come across thrifted ankara. The international section is huge compared to other thrift stores. A skirt with a mini underskirt. 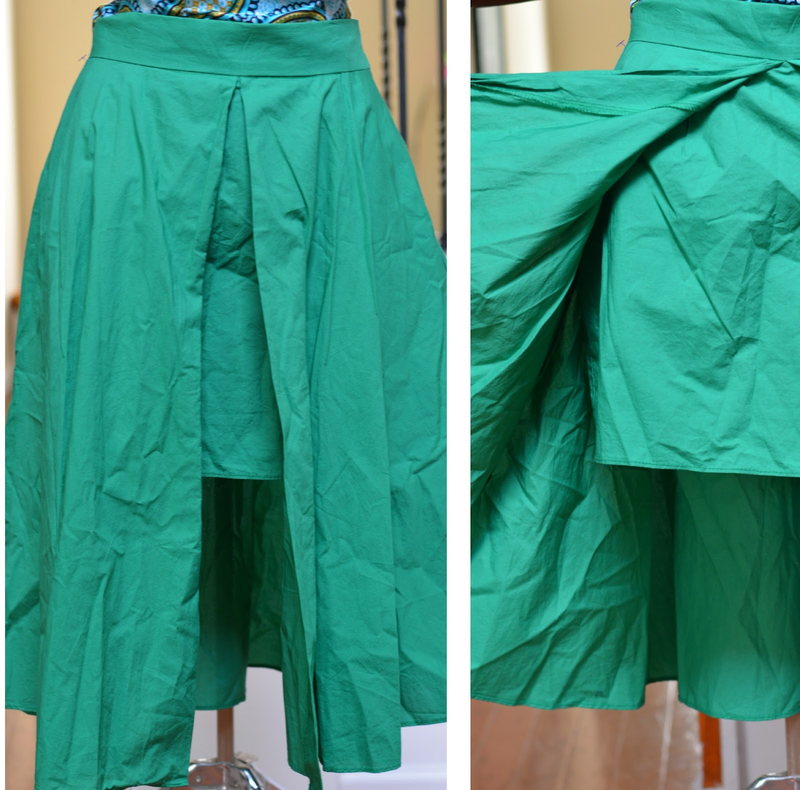 Two of my favorite kinds of skirts in one in a lovely shade of green! 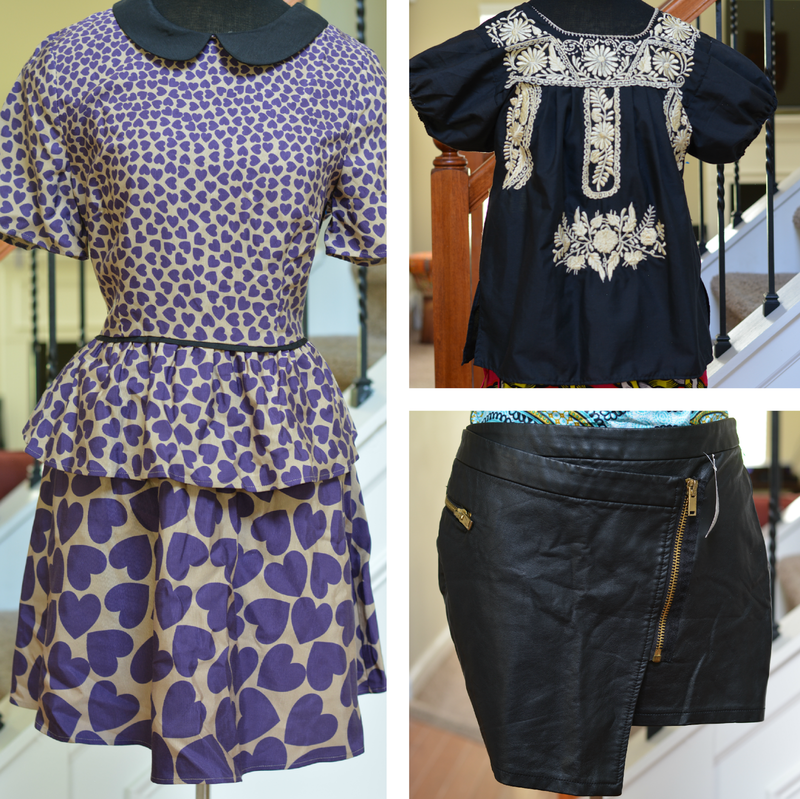 A peter pan collar peplum dress from ASOS with lots of hearts, a peasant top, and a faux leather asymmetrical skirt. The dress was a splurge and kind of impractical for my lifestyle but who can resist so many purple hearts? The peasant top was pure practicality and gorgeous embroidery. I went back to fantasy buying with the skirt. Reminds me of my "clubbin" days. A whole bunch of accessories. The costume jewelry was super cheap and plentiful. Most under $5 and many in the $2 - $3 range. The sunnies were $5. There isn't a large vintage selection and I feel very lucky to have found ombre shades and the red / white 80s jewelry set. 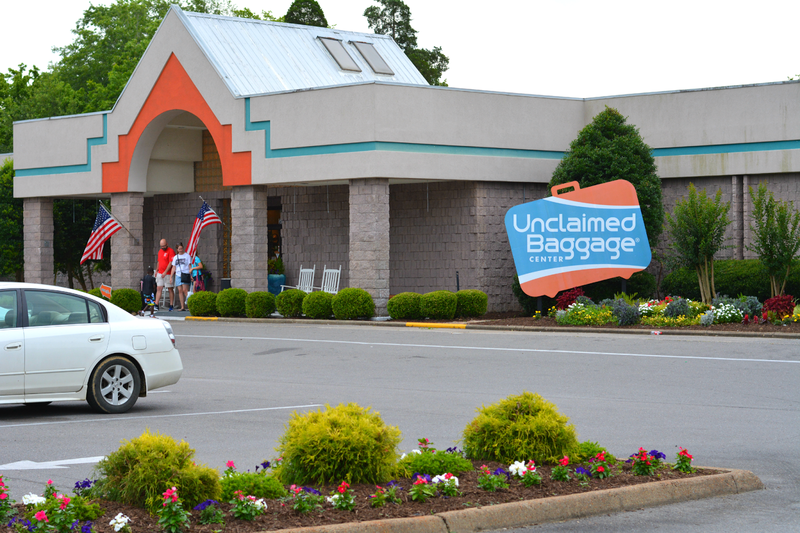 Have you been to Unclaimed Baggage? What'd you think? Wow.. Super speechless! Where is it located?